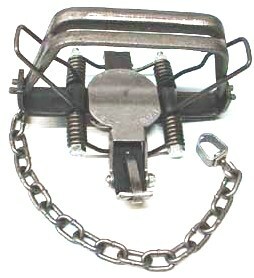 Coyote Cuff #33 (4 coil) Trap (coyotecuffs33) Northern Sport Co. These Coyote Cuffs feature Cast Offset Jaws with heavy duty machine chain and swivles attached. Made in the USA.